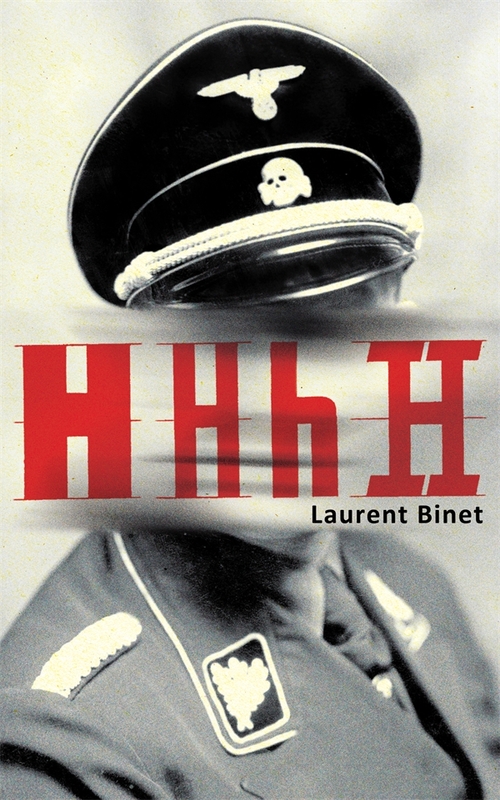 “HHhH” was first published in 2009 to much acclaim, and it concerns Operation Anthropoid, a plot to assassinate the Nazi Reinhard Heydrich, who was at the time overseeing the Final Solution in Prague. The book is described as a novel, and sets out to tell the story of the two assassins sent to carry out the attack, a Czech called Jan Kubis and a Slovak called Jozef Gabcik. However, the book is not quite as straightforward as it might seem, as there is an extra layer, that of a novelist who is wrestling to write a historical novel but having trouble with the whole concept of such a thing. But surprisingly enough the concept works well, probably because Binet is such a good writer. He has a great love of Prague and a wonderful ability to conjure it up in prose; and he brings alive the characters involved brilliantly. In fact, much of the early part of the book is concerned with the victim and the background of events leading up to the assassination, obviously so that the reader understands the issues and why Heydrich was a target. Binet is almost journalistic in his approach, wanting fact not fancy, and bringing the story to life with a clear eye and a strong historical perspective. The book is quite experimental and is as much about the process of telling a story as of the story itself. The point seems to be that if all writing is fiction (and it is, in a sense) then the “I” of Binet’s narration is fictional too. And as the book progresses, Binet becomes so close to his work that he feels as it he is in it too, further blurring the boundaries. In the end, Binet deconstructs the whole process of writing historically-based fiction by telling the tale and recording his responses to it; from his visit to the church where the assassins made their last stand, to the publication of a possible rival book, via his discovery of new facts and other novels on the subject while he is working on HhHH. By interpolating himself and his feeling into the story of Operation Anthropoid, Binet creates a powerful and effective book, particularly as the subject matter is so striking and often stark. There is no glossing over of hard facts and Nazi cruelty is shown clearly in all its brutality. Yet despite his wish to tell a simple tale, Binet cannot help but wax lyrical at times and his writing is very evocative. The story of the two assassins is one of courage, with two men determined to try to make a difference in a world that appears to have gone mad and Binet is a worthy scribe to pass on word of their deeds to another generation. The concept of the banality of evil is something I’ve only come across recently, and I’ve begun to dip into Hannah Arendt’s work to see if I can make some sense of not only 20th century events, but also man’s inhumanity to man, which continues into the 21st. And I think I’ve started to see what she means. It’s not just *one* person who’s evil, the foaming-at-the-mouth Hitler stereotype – the evil leader has plenty of people with him who think the same (or even worse) than he does, and are just as prepared to perpetrate vile deeds. Evil is not the prerogative of a few madmen – it’s an everyday thing that many are capable of and against which we must all stand. Heydrich was one of Hitler’s staunchest henchmen (why were there so many Hs in the Third Reich??) and was no loss to humanity. The reprisals after his death were hideous and we must never forget those who suffered. I’d highly recommend Binet’s book (I hesitate to call it a novel, really) not only for anyone interested in Operation Anthropoid, but also for those interested in the way novels are written and the conflict between truth and invention, particularly in a world where the lines are often blurred. A wonderful and stunning read! Sounds fascinating I have wanted to read HHhH for a while . I also want to read more Claudel. Sometimes as you say we readers just get into a particular groove with a subject. I’d liked to have seen Binet talk about the book – and I did think this was quite a novel take on the historical novel. Brodeck is amazing and moving! Great review. I read this book when it came out and got totally caught up in the story of Operation Anthropoid itself. I must admit to having some reservations about the insertion of the author into the story as it seemed to disrupt the rhythm of the book (at least it did for me). That said, it’s a great story and an innovative approach. I think this could well be a Marmite book but I loved it! I liked the unusual format of telling the story – but I do have a fondness for wordplay and the experimental! This does sound intriguing, but probably not for me. Living with a non fiction reader who has a particular interest in military history has taught me a lot about the subject matter already though. Yes – it would be not to everyone’s taste, I can see. I liked it very much though – the story itself was intriguing, as was the way he told it! It’s a difficult concept and I shall continue with Arendt. I think the books I’ve been reading have really emphasised that we are all culpable in a way and all capable of the worst of human nature. ‘Marmite book’ – lovely! This has been on my wishlist for ages, so you encourage me. I hope you enjoy it – I loved it! I’m glad you enjoyed it. Definitely Marmite for me – I wasn’t a fan. I got too wound up disliking the Binet/author character to enjoy the rest. I think Annabel is write about it being a Marmite book. I recommended it to lots of people – some loved it as much as I did and I thought it was a terrific book – others came back to say they’d not got into it at all. But for me I thought it was genius! I did too – I loved the way he played with the genre! Thanks for looking at this one Karen – I’d read a bit about it a while ago but let it drift away from my noggin but I really like the sound of the way it is constructed and deconstructed – cheers! I think it’s excellent – I like writing that plays with genres and this one really worked for me! I’d avoided this book because it didn’t appeal, but after your review I may have to reconsider. I absolutely love stories that have a meta dimension to them, as this does. Ah well, it’s been out a while so the chances are good that cheap secondhand copies are available! The meta dimension is what clinched it for me with this – I love fiction which plays with the boundaries and this really does, and quite brilliantly in my view. I got mine of a book swap site so I think you should be able to track one down fairly easily – or even from the library?